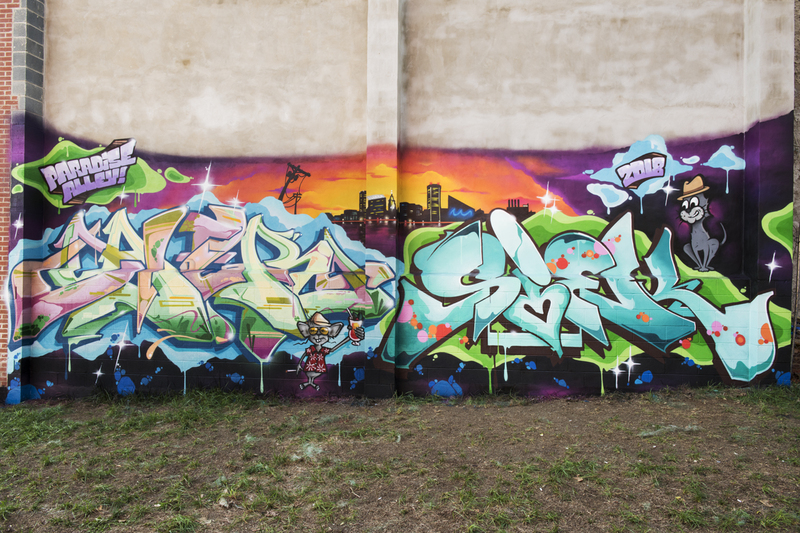 Today’s edition of What’s Up on Charm City Streets covers the second half of July, 2015. 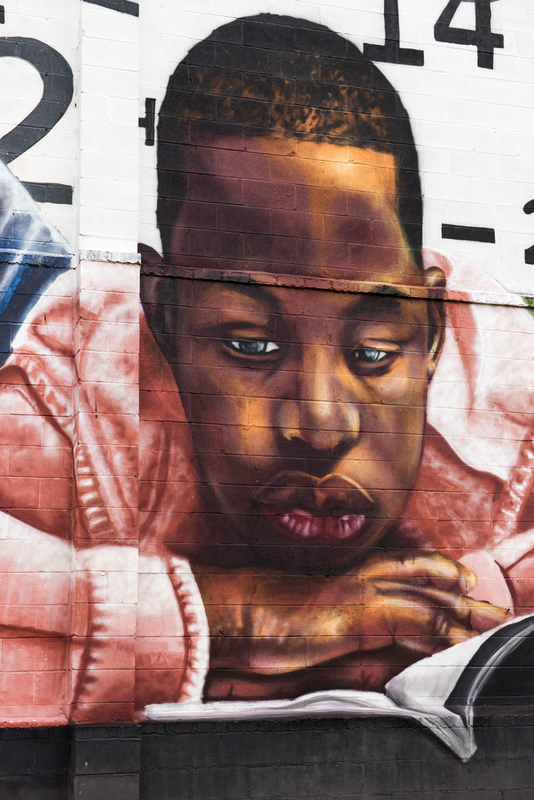 New murals continue to appear in Sandtown. Nether is nearing completion of his piece Blind Justice. With assistance from a number of local teens, Ernest Shaw, Jr. is working on a piece for the Upton Boxing Center. Last weekend Stefan Ways traveled to Baltimore from his new home in Portland, Oregon to coordinate Shift, a mural project in the Highlandtown Community Garden. 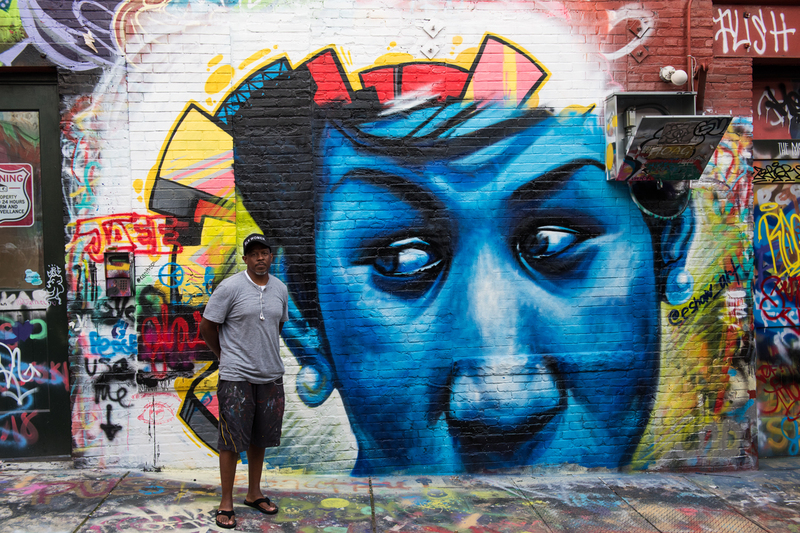 Prominent artists from Baltimore and DC took part: Chelove, Ernest Shaw, Jr, Mas Paz, Nether, Pablo Machioli, Reed Bmore, Stefan Ways, and Wake. 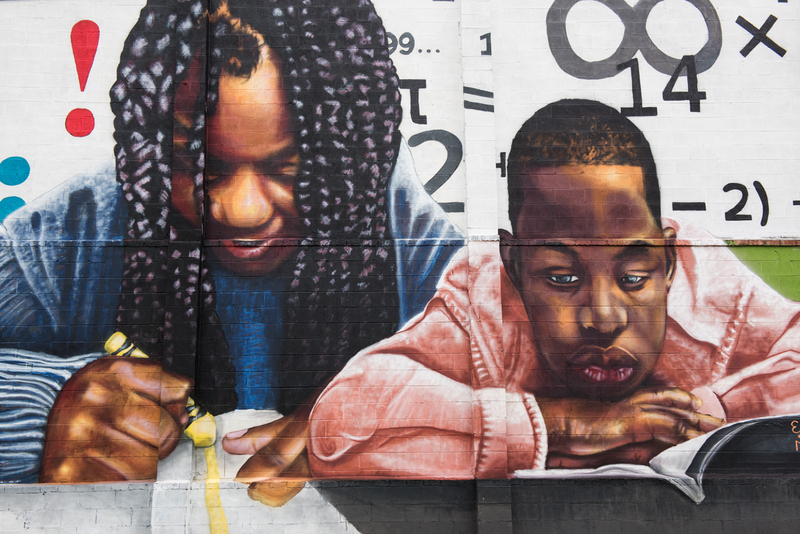 Baltimore artist Ernest Shaw Jr. completed his mural for Open Walls Baltimore 2. 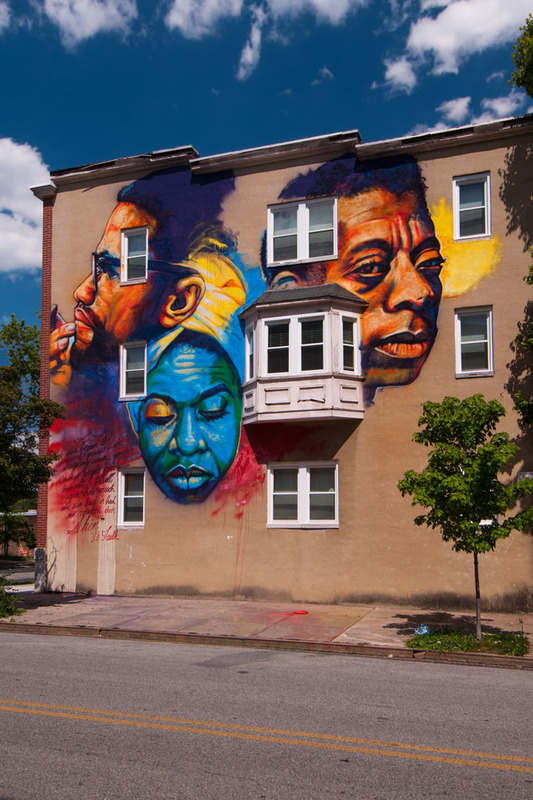 The mural pays tribute to Malcolm X, Nina Simone, and James Baldwin. 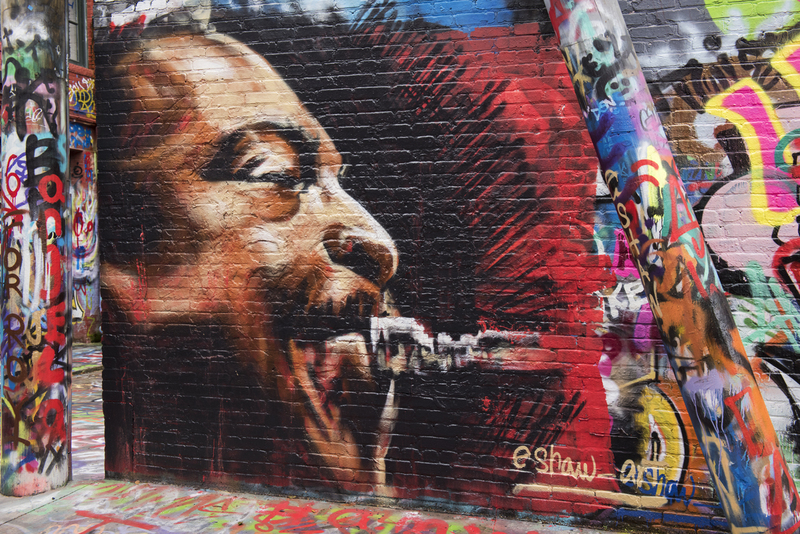 You will find his mural on the corner of Barclay Street and E Lafayette Avenue.